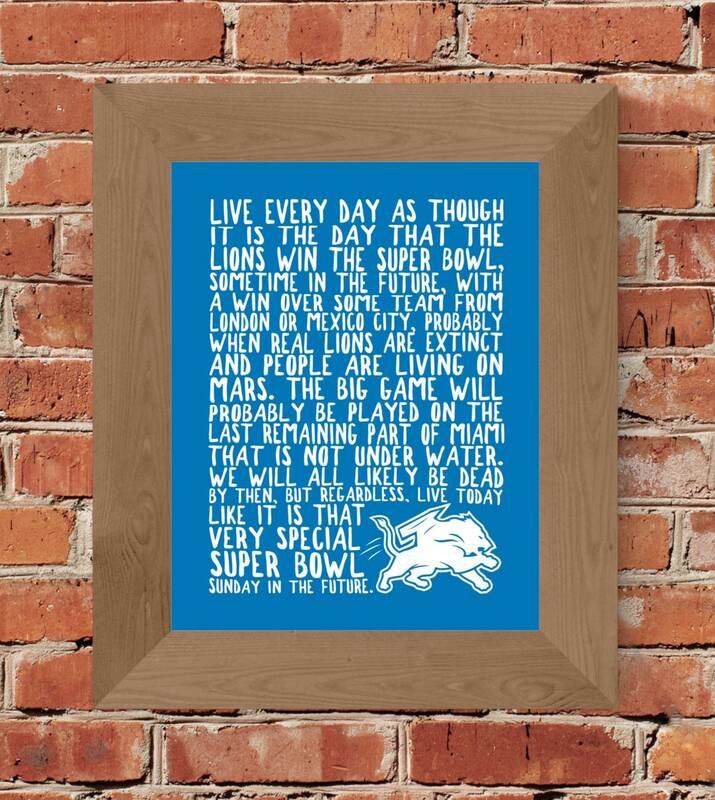 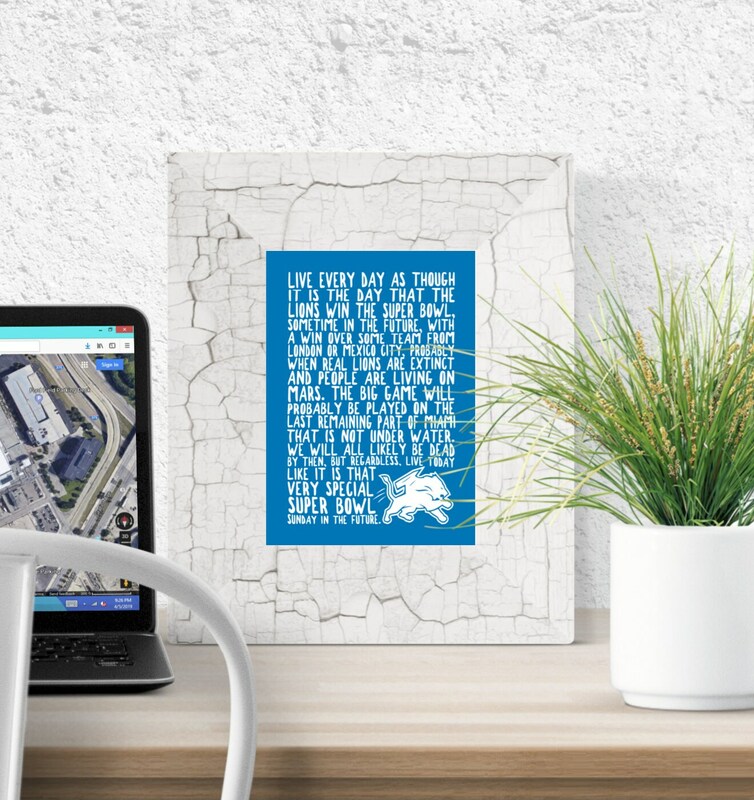 I think the words of this whimsical Detroit Lions print say it all. 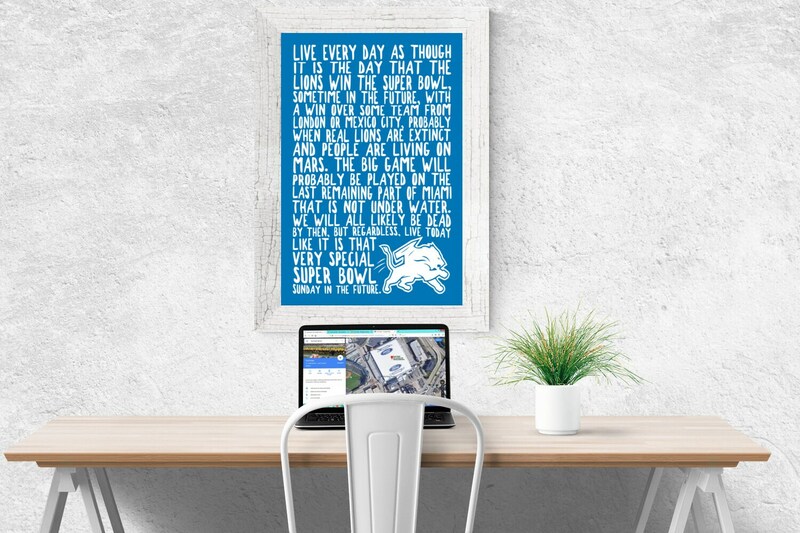 You love the Lions, but that can be some tough love, right? 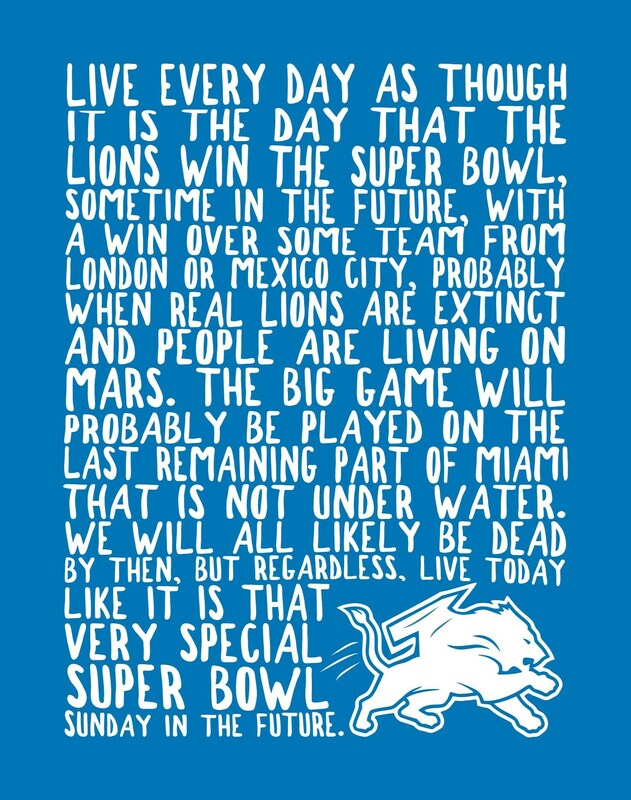 Someday it will happen....someday.